(June 6, 2007) Resting now after a long day…Here’s what’s happened since Sunday. On Monday we visited the emir’s ark/fortress in Bukhara. We also found some daily-life photos from the right time period for the documentary. Shopping was the other big activity. Of note were the young sales girls (14-15 y/o) that operated some of the knick-knack “shops” along the tourist route. They were good negotiators and very persistent. 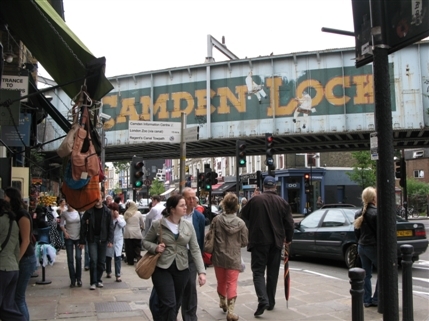 Despite their precocious business skills, they were still kids, and got angry if you didn’t promise to visit (read: buy something) at each one of their shops. One girl even ran off with items I had purchased from one of her friends, and held them for ransom until I bought something from her. 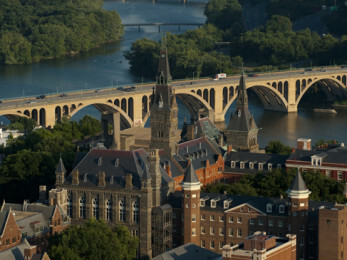 At that point, I just sat down on a porch and looked a the monuments until my things were returned. We stayed in a Bed and Breakfast owned by the travel agency. It was a 300-year-old villa once owned by a Jewish merchant. It was clearly the favorite accommodation of the group during the entire journey. In the evening, I was finally able to make an international phone call at a non-hotel rate. An Uzbek man in his early 20′s was running a computer game club in a back alley, and allowed tourists to make international calls on his(?) cell phone. The charges went to his(?) Visa card. I had about 8 minutes to touch base with home before the line went dead. On Tuesday we made the long drive from Bukhara to Khiva. During “bush stop” bathroom breaks for the trekkers, I was able to gather some good video of the desert – lizards, crazy insects and all. 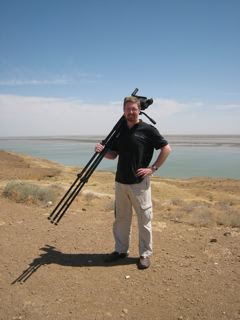 We also made a stop along the edge of the Amu Darya. This river was much wider than I had expected. Jesse and I scrambled down a hillside to the water’s edge. There we encountered a couple of young men washing out a motorboat hull they had found. When we arrived in Khiva, we discovered that the hotel (and room!) overlooked the southern gate of the old fortress city. I took a look around the Ichan Kala just as it was getting dark. Jesse and I also the camera out at 5:15a.m. to get video of the sunrise, but it was too cloudy for what we were looking for. About mid-morning we drove to Ak Metchet. The current village is named after the old Mennonite settlement. 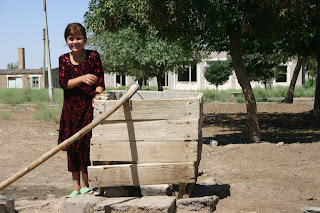 In this village is a school built by the Mennonites for the Uzbeks. We spent a few minutes at this school, discussing the possibility of a museum there. After that we went to the site of the settlement. The only things that exist in the old compound from the days of the Mennontes are the well, a couple of fruit trees, and an oak tree.. The rest of the site is made up of abandoned Soviet-era buildings for the Young Pioneers camp that replaced the Mennonite homes. The rest of the compound (including the site of the old cemetery) is being used to raise crops. We walked around the site. 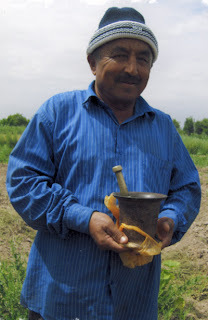 A local man brought a mortar and pestle that was given to his father shoirtly before the Mennonites were deported in 1935. He talked about how the locals came to “pray to” the Mennonites before spring panting each year. (Folk religion in Uzbekistan includes invoking ancestors in certain prayers.) The Mennonites are remembered as good hearted neighbors and skilled farmers. Our group had a short service near the old Mennonite well. Duane Friesen delivered a talk about the relationship between the Mennonites and their Muslim neighbors. We also sang “Through the Desert Goes Our Journey.” Norman Epp led the group in a reacceptance gesture for his great-grandfather. After our time at Ak metchet, we drove back to Khiva, and visited a palace that had a wood floor, window frames, and large canopied bed that were all constructed by Mennonites from Ak Metchet. 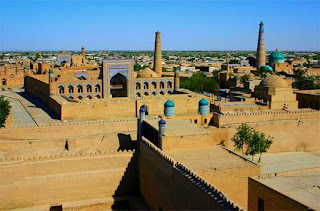 After lunch, I climbed the highest minaret in Khiva, and got some high shots of the fortress city, and the southeasthorizon. 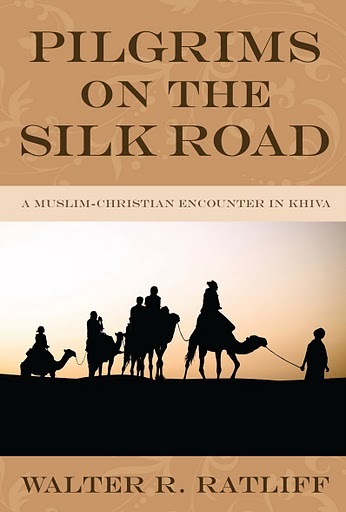 During supper, an Uzbek journalist with Mennonite roots discussed the Khiva Mennonites with us. He talked about how they were the first to bring tomatoes, potatoes, and even large windows and western-style furniture to the khanate. He also discussed may aspects of the Mennonite presence in Khiva. 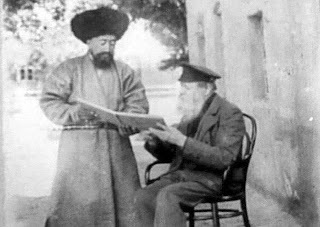 We also learned of a Khivan photographer named Divanov who was encouraged by Wilhelm Penner (the school teacher and leader at Ak Metchet. Apparently there is film footage of the last khan of Khiva taken by Divanov. This would be great for the documentary.